Indie Retro News: WinUAE 3.2.2 - The best Amiga emulator 2015 final! 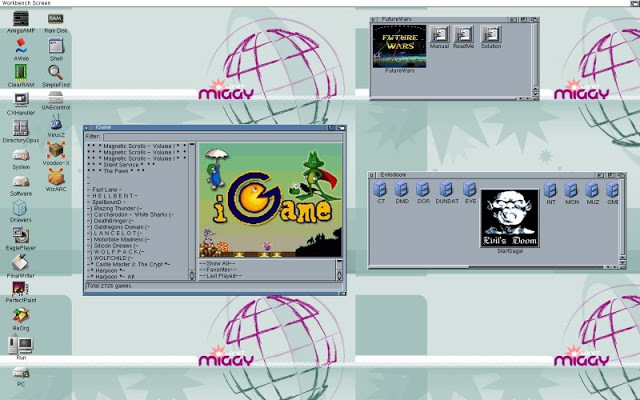 WinUAE 3.2.2 - The best Amiga emulator 2015 final! What a great Christmas week for Amiga gamers as Toni Wilen has now released the Amiga emulator final release of ' WinUAE 3.2.2 '. We didn't expect any more versions away from 3.2.1 but how wrong we was, as more bugs needed to be fixed and improvements needed to be made. As such you can now download this brilliant emulator in either 32bit or 64bit, with fixes such as JIT FPU 32-bit 64-bit compatibility fixes and Slirp network mode high CPU usage. As always the changelog is viewable below and that all important download! - JIT FPU 32-bit and 64-bit compatibility fixes. - Interlace mode blank screen in some configurations. - Slirp network mode high CPU usage. - Some programs that use AGA subpixel scrolling had horizontal jittering. - Per-monitor high DPI update still caused repeated GUI window closing/opening. - Game controllers suddenly stopped working. Most likely only happened under Windows 10 and only in some setups. - MIDI out devices missing (x64 only). - Serial port transmit buffer was not always flushed. - 68020+ BFFFO undocumented offset calculation fixed. - AVIOutput in capture before filtering mode: width is now always divisible by 16 pixels and height is always even for best codec compatibility. - Useless, very basic and invisible touch screen mouse and joystick overlay. - Load config with joystick that is not connected, fall back to previously loaded (default.uae) setting instead of always falling back to keyboard layout A. - Out of bounds RTG coordinates are now clipped to valid region instead of rejecting whole operation. - Keyboard names (if available) are now listed in Input panel device list. - Built-in HRTmon update v2.36. - Phoenix Board SCSI emulation.